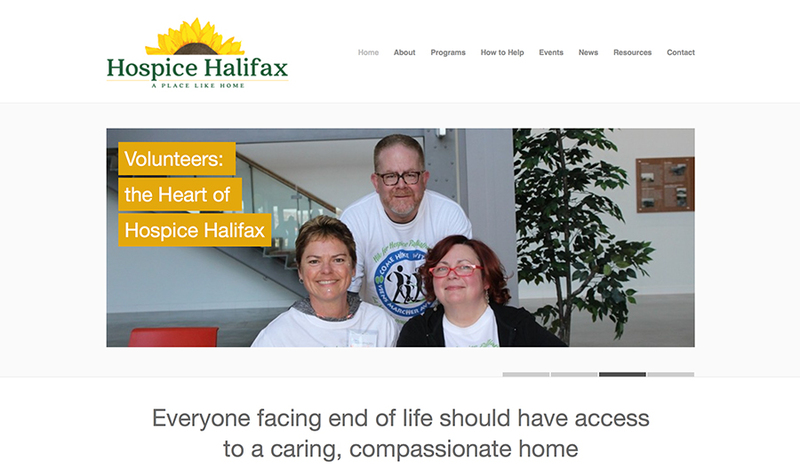 We have just launched the website for Hospice Halifax, as a volunteer I offered my design services and looked after creating a website that will support the great services that the society provides to our community. The responsive website can be viewed on all devices, and is very easy for office staff and volunteers to update and add content. The Hospice Society of Greater Halifax (Hospice Halifax) is a registered not-for-profit organization that supports people affected by life-limiting illness, death, grief or loss. From their operational base at Pryor House in Bedford, Hospice Halifax is making significant headway in establishing Nova Scotia’s first free-standing residential hospice.